BC Transit is apologizing to a Victoria teenager with Type 1 diabetes after one of its bus drivers prevented her from eating a snack on board when her blood sugar dropped. Sequilla Stubbs was riding the bus home on Wednesday afternoon when her glucose monitor began to beep – indicating her blood sugar was low. To raise her blood sugar, the 17-year-old grabbed a fruit salad from her backpack. She was about to start eating it when the bus driver stopped the vehicle and approached her. He told her to put away her food because the transit organization prohibits open food and drinks on its vehicles. Stubbs said she tried to explain to the bus driver that she needed to eat because she’s diabetic, but she said he refused to make an exception. The Grade 12 student said she was shocked by the driver’s position, especially considering there were only two other passengers on the bus at the time. She also said she wasn’t eating a common allergy food, such as peanuts. Despite her pleas, the bus driver repeatedly pointed to the sign until, Stubbs said, she gave up and put away her fruit salad. Following the bus ride, Stubbs said she reported the incident to BC transit. In response, the transit agency issued an apology to the teenager. BC transit spokesperson Jonathon Dyck explained that the policy is in place to reduce the frequency of buses being taken out of service for cleaning. He said customers are allowed to bring food in closed containers on the buses. Stubbs said she hopes her experience raises awareness about diabetes and other invisible illnesses. She said there needs to be more understanding about the conditions. 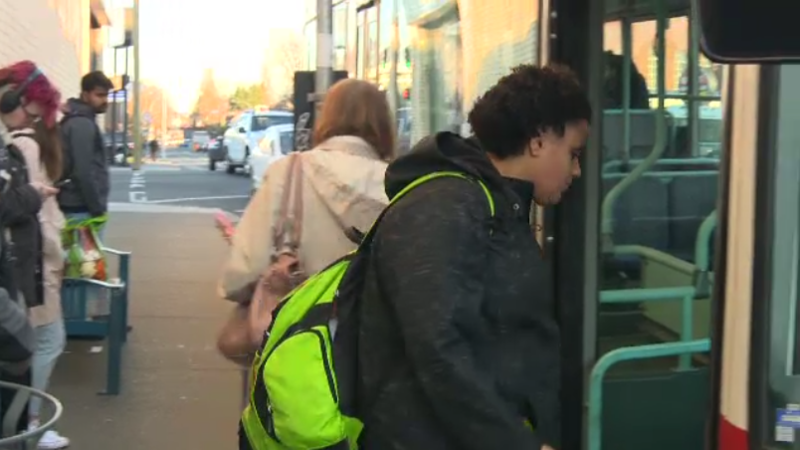 Sequilla Stubbs, 17, boards a bus in Victoria, B.C.